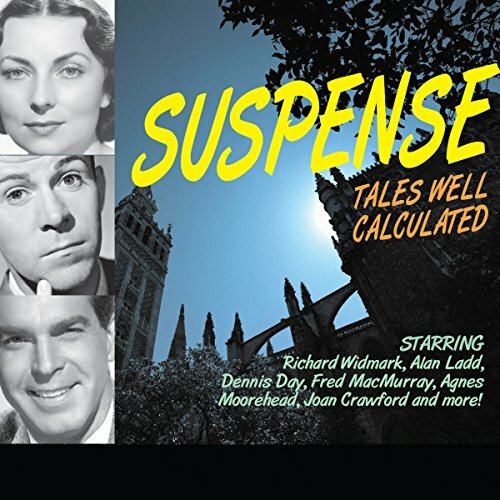 Voir les résultats lus par "Richard Widmark"
Radio Spirits is pleased to present 20 classic episodes of Suspense, one of radio's longest running and best mystery anthology series. This collection features programs from the early 1950s as produced and directed by Elliott Lewis. Suspense was well-known for its guest star performers and the shows presented here are no exception, featuring appearances by Dana Andrews, Joseph Cotton, Richard Widmark, Ozzie and Harriet Nelson, Alan Ladd, Dennis Day, Fred MacMurray, Agnes Moorehead, William Bendix, Ronald Colman, Joan Crawford, Phil Harris and Alice Faye and more. 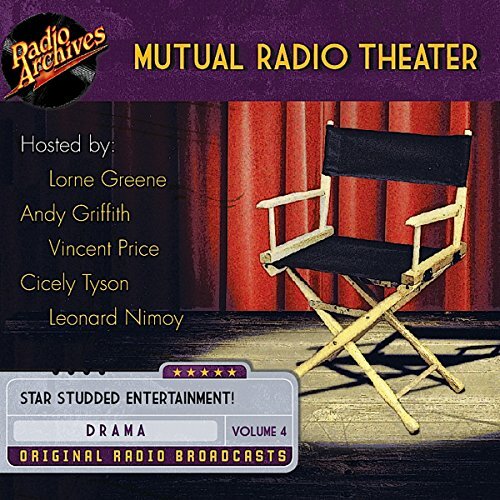 Only one radio program boasted a lineup including Lorne Greene, Andy Griffith, Vincent Price, Cicely Tyson, and Leonard Nimoy: Mutual Radio Theater! The shows were filled with stars from both classic radio and modern television and movies, including John Dehner, Vic Perrin, Virginia Gregg, Lurene Tuttle, Eve Arden, Harriet Nelson, Tom Bosley, and Marian Ross. In 1980, a perfect storm came together in terms of radio drama revival. Top talent of the classic era of radio and modern entertainment worked hand in hand on Mutual Radio Theater, a multigenre show harkening back to classic anthologies of the past. Each program was written specifically for radio and included scripts penned by such radio legends as Arch Oboler, Norman Corwin, and Elliot Lewis. Any program needs is own special energy - something that drives it to be the best of the best. Mutual Radio Theater, Volume 3 features programs with just that - star power. Each night of the week, a different star hosted the program. As for the actors, names from the golden era of radio drama included John Dehner, Vic Perrin, Hans Conried, Marvin Miller, Parley Baer, Elliot Lewis, Jeff Corey, Virginia Gregg, and Lurene Tuttle. What would it take to recapture the glory of the golden age of radio and still incorporate the stars and even stories of a more modern time? Mutual Radio Theater answered this question of blending the classic with the modern by doing just that: putting classic radio legends to work alongside up and coming stars of the 1980s. Mutual Radio Theater was a program produced originally in 1980. This show was no small attempt to recapture the glory days of old-time radio by any means. Each program was written specifically for radio and each night hosted by a different star, including Lorne Greene, Andy Griffith, Vincent Price, Cicely Tyson, and Leonard Nimoy. It's on-the-job training for your nerves as Radio's Outstanding Theatre of Thrills takes a look at crimes and calamites in the workplace! Listen to the "Man in Black" as he introduces you to corrupt colleagues who are responsible for more than the bottom line. But don't worry. You're in the hands of professionals with Van Heflin, Ronald Colman, Joseph Cotten, Elliott Lewis, Joseph Kearns, William Conrad, and Richard Widmark. 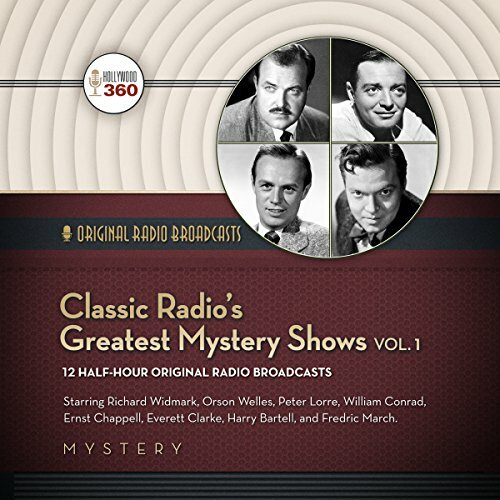 This collection contains twelve of the greatest mystery shows ever broadcast during the golden age of radio! You'll hear Richard Widmark starring in Inner Sanctum Mysteries, Orson Welles in The Black Museum, Peter Lorre in Mystery in the Air, William Conrad in The Whistler, Ernest Chappell in Quiet, Please, Everett Clarke in Lights Out, Harry Bartell in Escape, and Fredric Marchin a tale well calculated to keep you in Suspense, plus many more. 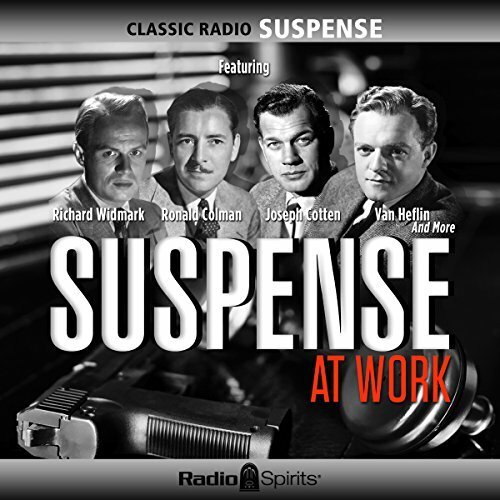 Radio Spirits is pleased to present 20 classic episodes of Suspense, one of radio's longest running and best mystery anthology series. This collection features programs from the early 1950's as produced and directed by Elliott Lewis.